I like to have coffee with my coffee cake. How about you? Of course you do. I mean, the name coffee cake makes it obvious that it’s a cake that deserves to have coffee served with it. But here’s the thing about coffee cake. There are some coffee cakes out there that actually have coffee in the cake. Like, inside the batter of the cake. That’s the case with this Amish Coffee Cake—coffee is one of the ingredients in the batter. This coffee cake has the lightest, most interesting flavor of any cake I’ve yet made…and yo, farm(ish) girl has made a lot of cakes. Mix the brown sugar, flour and shortening with a pastry blender until lumpy. Reserve 1 cup of this lumpy mixture and set aside. 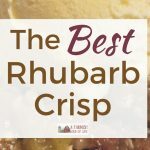 You’ll use that in a bit as a yumtastic crumbly topping. Dissolve the baking soda in the hot coffee. Make sure it completely dissolves. Note: Do not confuse this baking soda cup of coffee with your own delicious cup of coffee which is probably nearby. Now, add the baking soda/coffee to the large bowl of the brown sugar/shortening/flour mixture. Add the egg and vanilla; stir. Pour this batter into your pan of choice. It will be a little lumpy, so don’t worry about that. A 9×13 pan will make a thin cake, but I like to use a 10×7 (brownie/biscuit pan) for a thicker cake. Because I’m a rebel like that and I’m always changing the recipes just a little bit. Bake your creation at 325 degrees. You’ll need 30-35 minutes for a 9×13 pan, and 45-50 minutes for the 10×7 pan. The cake is deliciously moist – keep that in mind when checking for doneness. Serve this fabulous cake (with its intriguing light flavor) with whipped cream, ice cream, or heavy cream poured over the top. Oh. And with coffee. Make sure you serve it with coffee. Some coffee cakes are served with coffee. This coffee cake has coffee in the batter. 1. In a large bowl, mix brown sugar, flour, and shortening with a pastry blender until lumpy. Reserve 1 cup of this lumpy mixture and set aside. 2. Dissolve the baking soda in the hot coffee. Make sure it completely dissolves. 3. Add the baking soda/coffee to the large bowl of the brown sugar/shortening/flour mixture. NOTE: A 9 x 13 pan will make a thinner cake, a 10 x 7 pan will make a thicker cake. 5. Sprinkle the reserved 1 cup of brown sugar/flours/shortening on top of the batter in the pan. 6. Bake at 325 degrees: 30-35 minutes for a 9×13 pan, or 45-50 minutes for the 10×7 pan. I make a killer Cinnamon Streusel coffee cake that is a big tradition with Hubby and I on Sunday mornings. But, I think I'll shake up his world this weekend. Oh boy, the husband would love this one. He is the coffee lover. Thanks for the recipe. Nom nom nom! Is the coffee taste strong though? Like would my 3 year old still eat it? I want to try it with a flavored coffee, like hazelnut of some yummy fall pumpkin-y spice! Two of my favorite things put together! Bookmark on this one!! Thanks for sharing and by the way, my mom is a heavy cream hound too. It's all I ever hear about. Yum! I may have to try this one! I am going to try this soon. I love coffee cakes. Love your blog, and am so happy I have found it. Sue – let me know how it turns out if you decide to make it! Candy – You are welcome for the recipe. Judy – amazing how when the weather starts to change, we bake (and eat) more, isn't it? Jane – as a coffee lover much like your husband, I can attest to the yum factor of this cake. MF – I don't know if the coffee taste is strong. I would have to ask someone who doesn't like coffee. I never thought of using flavored coffees to make it though, good idea! APG – I knew there was another reason I liked your mom! Labbie – coffee ice cream with it? Are you kidding? SCORE! Erin – hope you get to try it! Kim – I think we might have been separated at birth, yes. And if we ever get back together, the world is in a whole lotta trouble! I tried this and it was delicious! Thank you for the fun recipe. 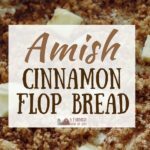 Amish or not, this recipe looks amazing. I’ve pinned it and I can’t wait to try it. Yum! FYI….I tried this in a 8X8, one cup of goodness was way too much for top. Middle sank and was not cooked all the way, even though when I tested it it was dry. Delicious! I will try again, with only 1/2 cup goodness for the top. Hello! I am making this right now. It might not be the true Amish recipe because I added vanilla beans since I have some for a French dessert I am making later. Then for the crumble I added a pinch of five spice because there is no cinnamon in this recipe whatsoever so I thought I’d give it a little spice. As for the Coffee, I used Cafe Du Monde French with Chicory coffee because I love that dark coffee taste. I do not have heavy cream with me tonight or didn’t go to the store for whipped cream so I’m thinking maybe I should go to the convenient store to see if I can get milk and make some buttercream or frosting or if they have heavy cream so I can whip something up. Either way, it looks delicious, it smells delicious, it seems so dense that it would be hard not to have a moist outcome. Thank you! This will be the first Amish recipe Ive ever tried and Amish food I’ve ever eaten! I was wondering to myself, does coffee cake contain coffee. Then I wondered, do the Amish make coffee cake? Which had me discover your site. It’s our favorite. Hope you enjoy it!